Like will it be a truck or a hot hatch or something else entirely. 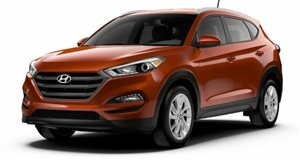 Hyundai has continued to see phenomenal success in the US, mainly with its crossover lineup consisting of the Tucson and Santa Fe. According to Car and Driver, who caught up with Hyundai’s vice president of corporate and product planning, Mike O’Brien, at Detroit, this crossover boom comes at the expense of sedans like the Elantra and Sonata. 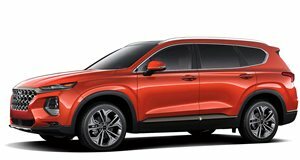 Crossovers outselling sedans is nothing new, and Hyundai is having a hard time satisfying demand; there’s only so much it can do to boost CUV production. That said, O’Brien also confirmed that the Korean automaker will debut a new model at Chicago, an auto show known for lots of truck and SUV reveals. Thing is, O’Brien admitted a production version of the Santa Cruz truck concept is still not ready, nor has it been given the production green light. "It’s not the Santa Cruz," O’Brien stated. "Hopefully we’ll have something to share with you soon on that." Now, that brings up the big question: What will Hyundai reveal at Chicago if it’s not a truck? Another crossover? Perhaps. One possibility is its own version of Kia’s new Niro hybrid SUV. Then again, could Hyundai go bold and reveal something more performance oriented? Say, a hot hatch version of the Elantra? Remember, Hyundai-Kia poached BMW M’s chief performance engineer, Albert Biermann, just over a year ago. We just saw his debut model, the 2018 Kia Stinger, a game changer for the brand. Is it time for Hyundai to get its own performance game changer? We certainly think so, but we’re also not convinced Chicago is the best venue for such a debut. Either way, we’ll find out what Hyundai has in store at Chicago early next month.